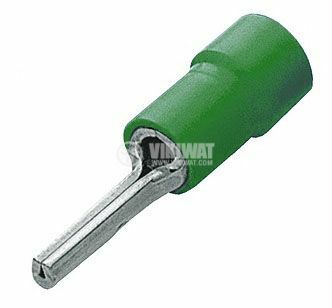 Pin cable plug with green color for wires with section 0.75 mm2. Insolated. dimensions - F 5.5 x 22.5 mm.